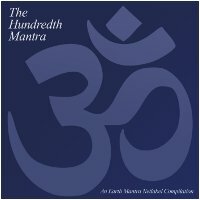 Welcome to Earth Mantra Netlabel's one hundredth release. To celebrate this milestone, we decided early on that this album should be a compilation of the artists who made up the previous ninety-nine releases. Little did we realize how many of our artists would want to contribute and how excellent the music would be. As a result, this release has grown to encompass four full discs of sublime ambience, with more than four hours of music end to end. We're very proud of the result. Special thanks to all of the artists for their contributions, both to this compilation, to Earth Mantra, as well as to the ambient community at large. Your generosity helps make the ambient world a better place, and Earth Mantra simply could not exist without you. Finally, we would like to thank our listeners, without whom there would literally be no point. We sincerely hope that you have enjoyed the first one hundred mantras, and we look forward to many, many more. October 26, 2011 - Induruwa Gamhewage Ravindra Chaturanga"Tyler"
Made Top 20 releases for January 2010 on Secret Music. "The Hundredth Mantra" has been featured on WVKR's "Secret Music" program, hosted by Scott Raymond. See this link for all the details. Thanks Earth Mantra...I've downloaded most of your releases and the music has always been beautiful. You do a great job. Awesome! Many, many thanks. This is undoubtedly your finest release yet.